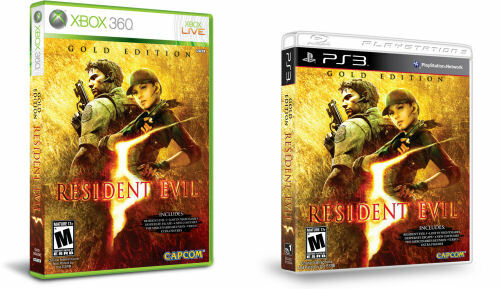 Along with the above box art, Capcom has released a trailer for the Resident Evil: Gold Edition, which launches this March on the 360 and PS3. The trailer showcases the two episodes, Lost in Nightmares and Desperate Escape, both of which follow longtime series heroine Jill Valentine. Lost in Nightmares follows Chris Redfield and Jill as they take on Wesker in a spooky mansion, complete with new creatures to tackle in the game's two player co-op mode. Desperate Escape follow Josh Stone from Resident Evil 5's main campaign and Jill as they attempt to escape the compound in Africa, still overrun with infected villagers. These episodes begin releasing in late February as stand alone DLC. Finally the trailer wraps up with a rather silly look at some of the alternate costumes included, which of course, will be available as DLC too.